Early morning drive to Jankichatti and then trek for 07 kms to reach Yamunotri. 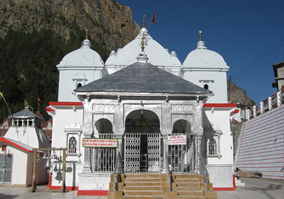 Visit the temple of Goddess Yamuna which is situated on the banks of the river. There is a hot water spring adjacent to this temple. The pilgrims take a holy dip in this spring before darshan of the temple. You can also cook rice in these hot waters. After darshan return back to Barkot/Jankichatti. Dinner & overnight at the hotel. After breakfast drive to Uttarkashi. On arrival check in hotel relax and refrestment at in the evening you can visit the famous Vishwanath Temple. Dinner & overnight at the hotel. ): After breakfast, we proceed to Harsil. This is one of the most beautiful valleys in Uttarakhand. On the way we can halt at Gangnani which again has hot water springs. You can take a dip here. Then drive to Gangotri (22 kms/1 hr). Over here devotees take a holy dip in the most Holy River of Hindus- The Ganges. It is also called Bhagirathi from where it originates. 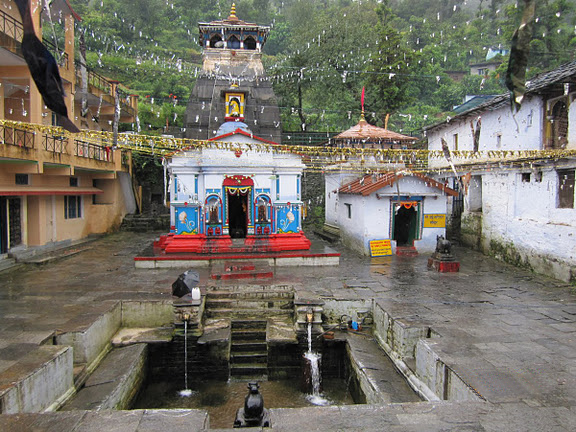 You can then perform pooja and enjoy in the picturesque surroundings. In the afternoon return back to Uttarkashi. Dinner & overnight at the hotel. After breakfast leave for Rishikesh, visit Devprayag (The confluence of rivers Alaknanda and Bhagirathi, which become the Ganga). On arrival visit sightseeing Rishikesh later drive to Haridwar on arrival transfer to Hotel /Railway station for your onward destination.